= 'true'; Every once in a while, you see something crafted so beautifully that it must have been carved by some sort of ancient god. However, it’s perhaps more impressive when you remember that someone, somewhere, used a variety of tools and machines and painstakingly put together whatever item you’re currently admiring. Jewelry is often the first port of call when mentioning beautiful man-made creations, as the materials are of supreme quality – we’re talking the likes of gold, silver, diamond, and platinum – and the designs are as gorgeous as they are varied. Singling out only a few specific jewelry companies is no mean feat, and there is no doubt there are many you’ll want featured on this list, but we’re just going to mention three which we believe are unquestionably awesome when it comes to the art of making jewelry. You can always click here for more brands. True, this might not be a watch company with the esteemed pedigree of a Swiss brand like Rolex, but Seiko is nevertheless a fantastic watchmaker deserving of anyone’s attention. In fact, Seiko has been around since 1881 – far earlier than Rolex by close to 25 years! You may well know this Japanese manufacturer because of their digital devices, as Seiko was prevalent in the creation of quartz-powered watches back in the 70s. However, it’s the mechanical watches which really stand out to us as genuine things of beauty. Whether it’s because of the spacing of the hour marks, the watch face, or purely the effortless simplicity of the designs, Seiko manages to create watches that don’t lose their novelty or go out of vogue. 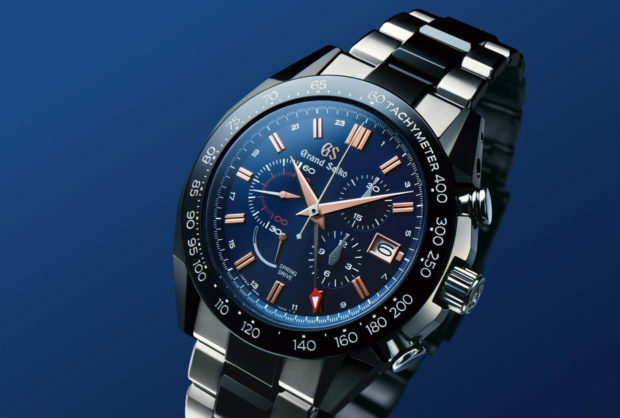 In short: Seiko watches never go out of style because they aren’t designed with trends in mind. Look at any model here and we firmly believe that at least one will satisfy your tastes. Earrings shaped like wreaths or chandeliers? Bracelets that seamlessly combine brass and sterling in a way that doesn’t seem possible? When you’re STVDIO BROOKLYN, it seems you can have a creative license like this, but still have the talent to make it work. As of writing, a lot of SB’s stock is sold out: a clear sign that jewelry is being snapped up at an extremely fast rate. Whilst creations like this shouldn’t be rushed, we do hope that more are made soon, so that nobody misses out on wearing such incredible pieces of jewelry. STVDIO BROOKLYN’s pieces are meant to be worn, not hidden away and only brought out for “special” occasions. When every piece is this good, why not show it off? Tada & Toy’s jewelry is slightly odd, unusual, and not something for everyone, but that’s exactly why we love it. We want jewelry that challenges convention, not adheres to it. We want to wear something that makes people stop and stare, not bored and uninterested. When a brand uses a gemstone like Rhodochrosite, you know this is one company that likes to be daring. We love the teardrop earrings, the star studs, and the hexagon hoops, but most of all, we love the fact that Tada & Toy is simply two London-based girls who are passionate about what they do. If you want to believe jewelry can still be inspiring, then see for yourself what Tada & Toy is doing.